"The team at Graphic Language has proven to be a valuable asset to our marketing team. In just one year, we’ve shown marked improvements in overall traffic and leads and the technology behind the scenes has saved us time and money managing regular marketing tasks." 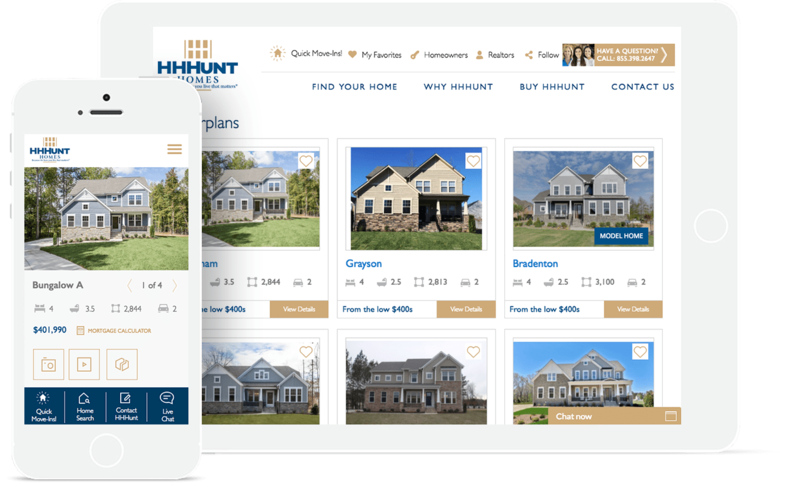 HH Hunt Homes, one of the fastest growing home builders in Virginia and North Carolina, is focused on creating unique lifestyles through diverse home-product offerings. For over 35 years, home buyers have trusted HH Hunt with the biggest purchase of their lives. 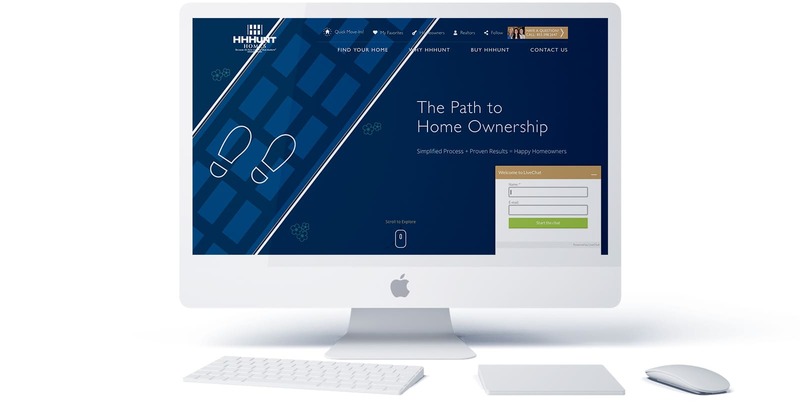 Similarly, HH Hunt required a partner they could trust to communicate their brand and message to homebuyers through a compelling, online home-shopping experience and advanced digital marketing solutions. 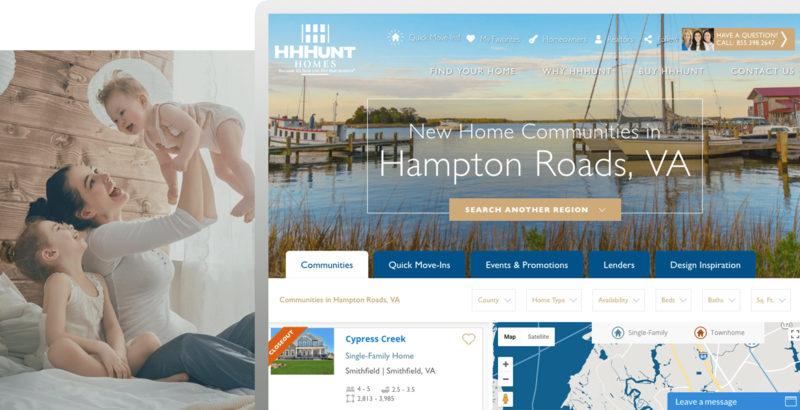 HH Hunt Homes aims to get buyers to communities as quickly as possible. Since their communities are centered in and around distinct regions, they required a home-search solution focused on locale. The new website's search, SEO, and ongoing marketing initiatives drive traffic to specific, targeted regions and generate quality leads. A unique interactive experience persuades home shoppers to take convertible actions throughout the website. Easy home search. Highly Interactive design. Robust functionality. Realtor solutions.